10pcs CD4511 CD4511BE 4511 CMOS BCD to 7 segment Latch Decoder ICO! Model: Blue: SR620561B, White: SR720561W, Green: SR820516G4 Orange White, Blue and bright green. We specialized in providing TFT LCD modules embedded systems for fun and creativity. 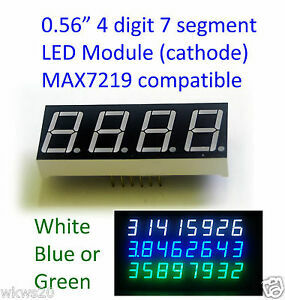 TFT LCD models are tested and selected for sale for greatest quality and lowest price.